If you’ve been seeking the kids dental cleaning Methuen residents trust, nearby Lowell holds your answer. 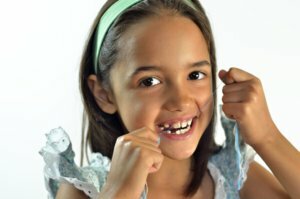 Before we get to that, let’s explore the importance and benefits of helping to incorporate best dental hygiene practices for children. Adopting a routine dental home-care regimen can help establish positive tools to encourage overall optimum health for your child for years to come. Since sugar significantly and adversely affects teeth by leading to decay, introducing healthier foods to your child’s diet such as vegetables, fruits, whole grains, dairy, and lean protein will create balance in nutrition and help sustain a healthy environment for teeth and gums. The earlier proper brushing techniques are introduced to children the better. Have toddlers use a child-sized toothbrush with soft bristles applying only a grain of rice smudge of a dentist-recommended fluoride toothpaste; older children (ages six and up) can upgrade to a pea-sized amount. Work with small children to brush in an up and down motion and remind them not to swallow the toothpaste! It’s helpful to explain to your child why these practices are important to his/her overall health. The next section can help both of you understand why. By maintaining six-month dental checkups and cleanings, combined with the best dental home-care practices, your child will have the best chance at achieving optimum dental health. You can help him/her to set a precedent for taking responsibility and ownership of best health practices and set the foundation for a brighter smile. If you’d like to learn more about kids dental cleaning Methuen kids look forward to, please call us now at 978-403-4168. We welcome any questions you might have and are happy to book an appointment for your child whenever you’re ready.